Market Street Real Estate Partners and JDI Realty has announced the selection of full service brokerage firm Colliers International | Pittsburgh as exclusive leasing agent for the group’s newly acquired assets, Buildings One, Two, Four, Six, Seven, Nine and Ten at the Parkway Center complex in Greentree. The ownership group will implement a substantial capital investment that will modernize the buildings and re-energize the overall complex. Planned changes include new landscape design, repaving of parking areas, new lighting, walls, ceilings, restrooms and elevator cabs. The buildings at Parkway Center, a Class A & B office and retail complex, sit on a 20.7 acre campus setting that includes 622,771 square feet of office space encompassed by the seven buildings. Colliers International | Pittsburgh will be responsible for leasing office vacancies within the complex, including Building Seven comprising 288,654 square feet of Class A space, which will be rebranded as “THE TOWER AT PARKWAY CENTER”. Additionally, the entirely vacant Building Ten provides the market with a rare signature building opportunity at a size of 39,670 SF. Market Street Real Estate Partners plans major renovations to Building Ten to include replacement of the existing smaller windows with larger glass windows and extensive landscaping around the structure. 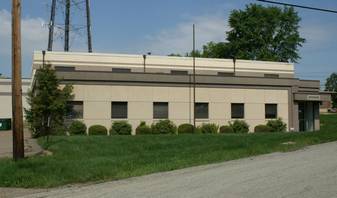 ElectroMechanical Engineering (EME) Associates, Inc. acquired the 8,550 square foot combined office and manufacturing building located at 150 Seco Road in Monroeville Business Park. John Bilyak, Principal, and Jessica Jarosz, Vice President of Tenant Advisory Services at Colliers International | Pittsburgh, represented the buyer. EME Associates purchased the property from 221 Allegheny Avenue Partnership represented by PRC Commercial. “Working with Colliers International | Pittsburgh, EME established its present home in Forest Hills which has served EME for the past 7 years, and now our new home in Monroeville which will serve our expanding office and manufacturing needs,” said Alan Spisak, Owner of EME Associates. EME is a rapidly growing nationally recognized high tech power generation company founded in Pittsburgh in 1982. A company built through engineering and consulting services has steadily increased its capabilities and services to provide turnkey solutions to the power generation industry, including recent multi-million dollar power plant synchronous condenser conversions which are key components in the stabilization of the power grid. To learn more about EME Associates, visit their website at www.emeassociates.com. Colliers International | Pittsburgh is proud to announce the sale of an office complex portfolio and garage located at Parkway Center – Buildings One, Two, Four, Six, Seven, Nine, and Ten in the Parkway West Corridor. The 622,771 SF office complex, situated on 20+ acres, was sold by GPA and GPA II to PWC Pitt, LLC., lead by Pittsburgh native Robbie Oppenheim. The new ownership group is a partnership between Market Street Real Estate Partners of Coral Gables, FL and Chicago-based JDI Realty. The Seller and the Buyer were represented by the Colliers International | Investment Sales Team, according to Gregg Broujos, Managing Director and Head of Investment Services. For more information, please contact Gregg Broujos at 412 321 4200.